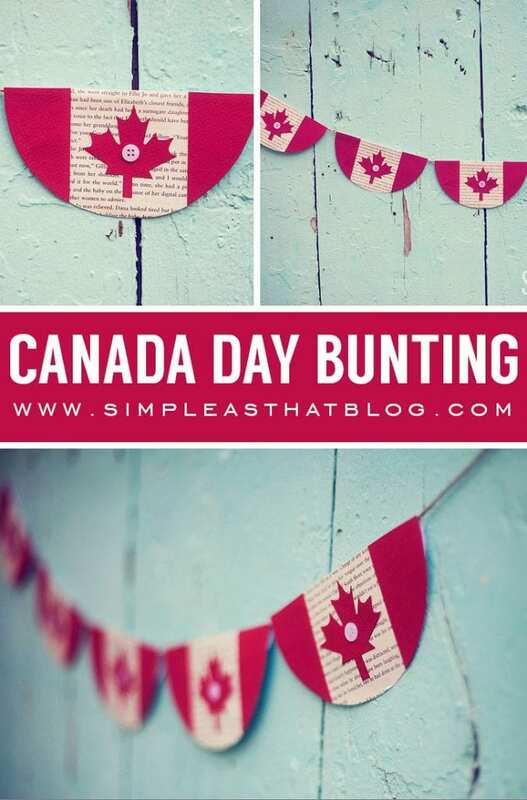 Canada Day is just around the corner. Although celebrations may be hampered a bit since the holiday falls right in the middle of the week this year, there are still lots of great ways to enjoy the day. Here are 5 DIY projects to help everyone get into the spirit! This banner by Simple As That would be such a nice touch either indoors or out (on a non-rainy day). We love the reuse of of book pages- magazine pages would also look great. Although this chair by Redo It Yourself Inspirations would make a great compliment to any backyard Canada Day celebration, it’s really beautiful for all year round and would add such a nice pop of colour in the yard in the winter. 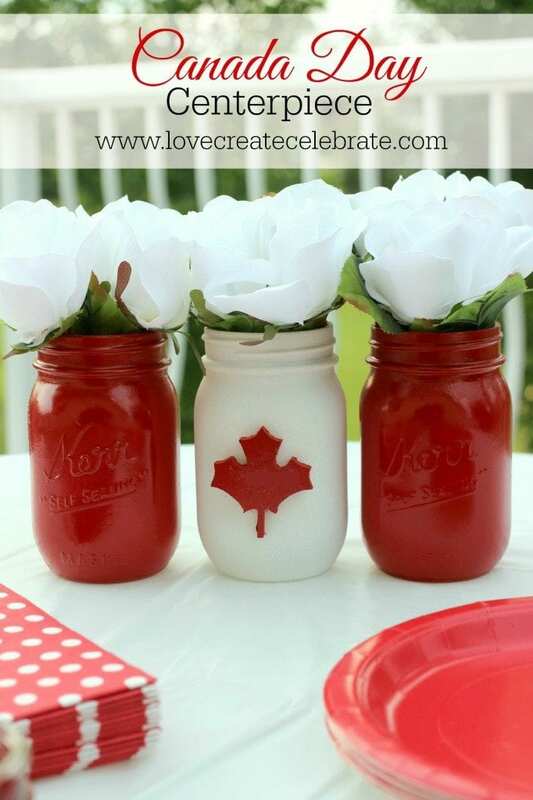 Mason jar crafts seem to be everywhere and this is such an elegant looking one for Canada Day from Love Create Celebrate. You could add any seasonal flowers and we love that the jars, maybe with the addition of a green one could be used for Christmas as well. 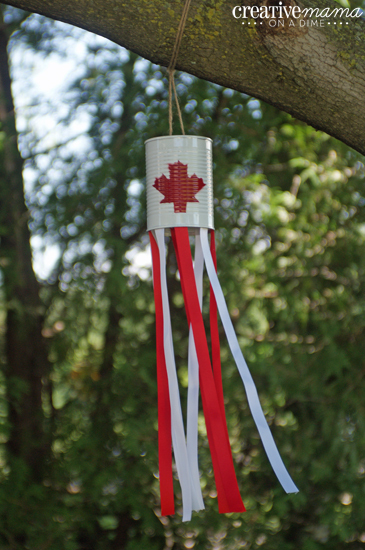 Even if time is limited, this simple dessert idea from All She Cooks just screams Canada Day to us! The only downside is that they’re unlikely to last long: they will be gobbled up by the little Canadians in no time! There are also some great tips in the comments on how to keep your fruit from discolouring. We love the simplicity of this project by Creative Mama on a Dime. 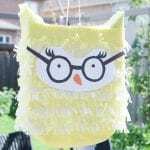 What a nice project to make with the kids and could be out all summer if water-proof ribbons are used. 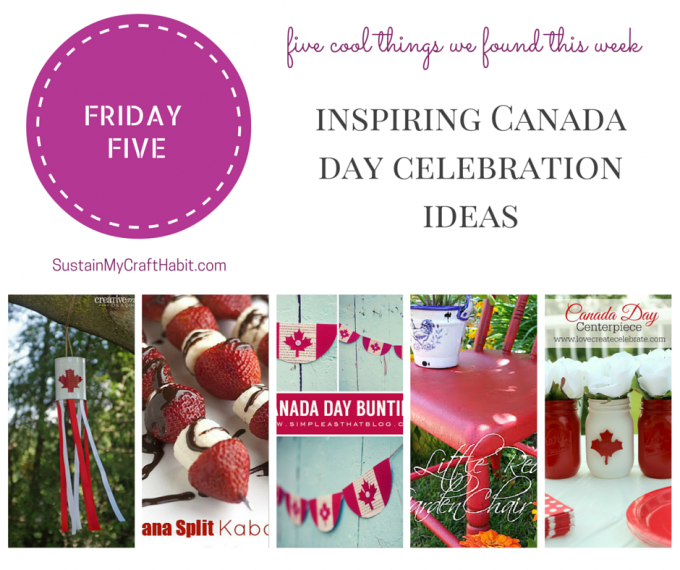 We hope these five red and white projects inspire you to get into the spirit of Canada Day! 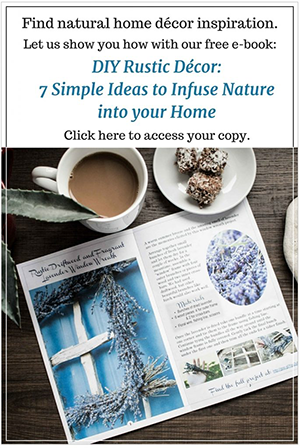 If you are fortunate to be invited to a celebration gathering, consider a simple hostess gift: a Mason jar filled with fresh flowers or herbs from your garden. 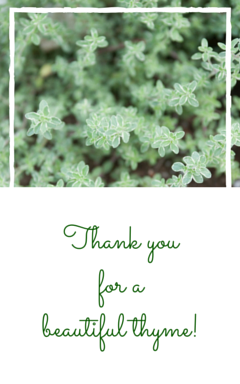 We’ve used the delicate and fragrant thyme from our garden in this gift, along with a tag that reads “Thank you for a wonderful thyme”. You can download the tag here. 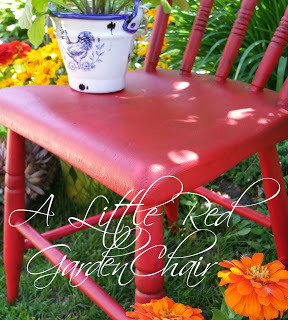 Thank you for including my garden chair with the lovely features, Jane! The banner is absolutely stunning! Love the use of the buttons. The wind sock from a can is so clever. Thank you for sharing the great ideas. Our pleasure Robin! We love your red garden chair. Such a unique way to complement the bright flowers of summer in the backyard. 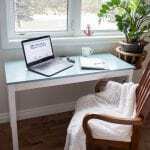 And all of the upcycle projects on your site (http://redoityourselfinspirations.blogspot.ca/) are so inspiring. Thank you for stopping by! Cute post! This American LOVES Canada. Vive la Canadians! Thank you Amanda. We loves our American friends too! Hope you had a Happy 4th of July! Thank you Nicole! We are just loving the Mason jar craze- there’s so much you can do with them besides pickling and canning. Hopefully you can visit Canada and write about it for the Travel section of your blog (http://notimefordiy.com/)! Thank you for stopping by. 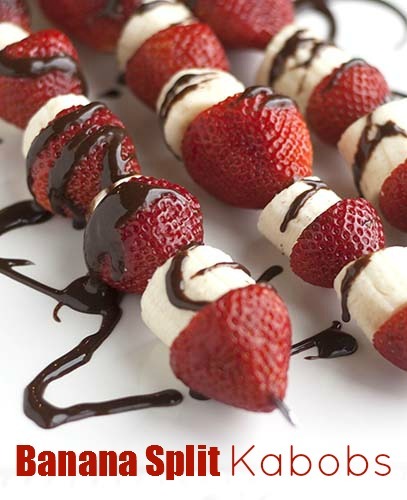 Love the mason jars and the fruit (strawberry) kabob yummy. So happy to be cohosting #HomeMattersParty with you.